"I’ve been using Bartolini pickups exclusively, in all my basses since 1995. Exquisite sound, very well made and an integral part of my sound"
Pedulla Thunder Basses, Fender Jazz, Rickenbacker 4001, Michael Tuttle Jazz Bass, Upright Acoustic Bass. 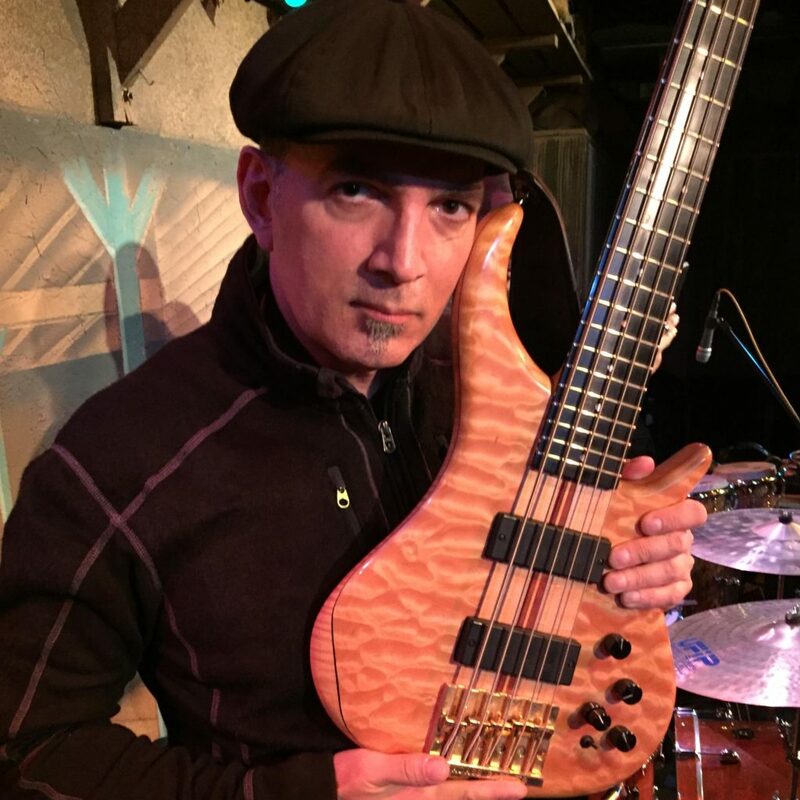 Bassist, Composer, Producer Ric Fierabracci has performed, recorded and run the gamut for artists like Chick Corea, Billy Cobham, Blood Sweat and Tears, Dave Weckl, Gary Husband, Andy Summers (with Sting as a special guest), Eric Marienthal, Dean Brown, Steve Smith, Vinnie Colaiuta, Mitchel Forman, Lao Tizer, Raul Pineda, Nachito Herrera, Karen Briggs, Chad Smith’s Bombastic Meatbats, Stanley Clarke, Brett Garsed, Phil Turcio, Chieli Minucci & Special EFX, Guthrie Govan, Mike Miller, Scott Henderson, George Whitty, Bill Evans, Planet X, Eddie Jobson’s UK, Frank Gambale, Curved Air’s Sonja Kristina, Adrian Belew, Joel Hoekstra, Tom Coster, Marion Meadows to Pop artists: Sir Tom Jones, Stevie Wonder, Japanese Mega Star - Misia, Jennifer Paige, Yanni, Euge Groove and others. Ric has also recorded many tracks for the "Guitar Hero" Video games. His latest Studio work has included the bass tracks for the CBS Hit TV series "Without a Trace". Rics debut CD “Hemispheres” was nominated for a Grammy in the 51st Grammy's as "Best Contemporary Jazz Album" and Ric has also been nominated twice in the category of "best Instrumental Jazz Solo"